We have mobile service technicians who specialise in washing machine repairs. If your washer won’t agitate, spin or drain, is slow to fill or is leaking – our experts can help you. Our washing machine repairers can help fix you top-loader, front-loader or washer-dryer combo machine. Just give us a call or fill out our quick appointment form to organise a visit from one of our experts. Experiencing trouble with your washing machine? If you’re stuck with no way to clean your clothes, we are here for all your washing machine repair needs. 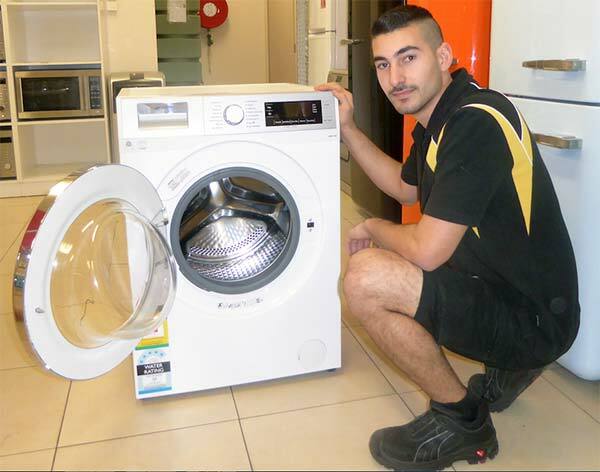 Prestige Appliance Repairs has been servicing home appliances from Onkaparinga River up to Blakeview since 1989. Our company is privileged to be a local leader in our industry, conducting warranty repairs for most manufacturers because they trust our quality of service. We are currently the only Adelaide-based authorised warranty service agents for Omega, Technika, Smeg, Wolf, Euromaid, and Ariston washing machines. Whether your washer is under warranty or not, we always fix it to the manufacturer’s guidelines, using genuine spare parts. This helps to extend your washers life-cycle and lessens the need of getting more repairs done sooner due to cheap replacement materials. Fill out our repair form here if you are in need of washing machine repairs in the greater Adelaide area. If your washing machine is still under warranty repairs will need carried out by service agents who are authorised by the manufacturer. Not doing so may void your warranty. Need Washing Machine Spare Parts? We also have spare parts available for order. If you are looking for knobs, panels or other hard to find parts please visit this page to make a spare part enquiry. If you live in or around the greater Adelaide area we’ve got you covered. We have specialist vans fully equipped with the most common repair parts servicing these areas daily. To help us give you the great service you deserve, please fill in the form below. Our customer service team will get in contact with you asap to arrange your service call. First up! We just need some quick Contact details for making your booking. Please select your preferred service date. We will call to confirm your service date. If your appliance is still under warranty, we will need a couple of extra details in regards to its purchase. Type of Warranty * Manufacturer’s Warranty Extended Warranty Out of Warranty Is the Appliance Under Warranty?